The 2013 Gilmour Shield, the outdoor 7-a-side competition for primary schools was played at a sunny Picky on Saturday with 18 teams competing in four groups with the top two teams in each group progressing to the quarter finals. There was plenty of exciting football played in the group stages with Group 2 being the most competitive with only goal difference separating the three top teams who ended level on points. In the end it was St Andrews B who dropped out at the expense of Glaitness B and Stromness B. The Stromness side were also involved in the closest of the quarter finals ties as they closed out Papdale C with a winner late in extra time. 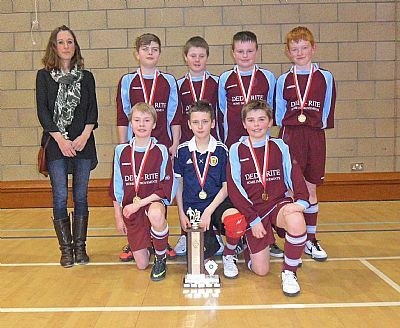 Stromness B continued their run to the final with victory over St Andrews A in the semis. The other finalists were Papdale B who had done extremely well to reach this stage including a narrow win over Glaitness B in the semi-final. The final was a game too far for the Papdale side as Stromness turned on the style with Sam Hunter and Callan Jessiman starring in a 5-1 win. 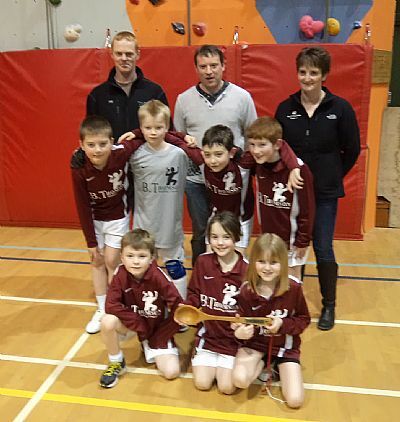 Victory in the Gilmour Shield provided Stromness primary with an indoor and outdoor double for the second year in a row having won the indoor title earlier in the year. This has been a period of deserved success for the town’s young footballers reflecting the quality of talent which has emerged in recent years. Papdale B 1 Evie 1; Dounby 1 Stenness 0; Evie 6 Dounby 0; Stenness 0 Papdale B 3; Dounby 0 Papdale B 2; Evie 2 Stenness 0. Quarter Finals: Papdale D 0 Glaitness B 2; Stromness B 2 Papdale C 1 (a.e.t); Glaitness A 0 Papdale B 2; Evie 0 St Andrews A 5. 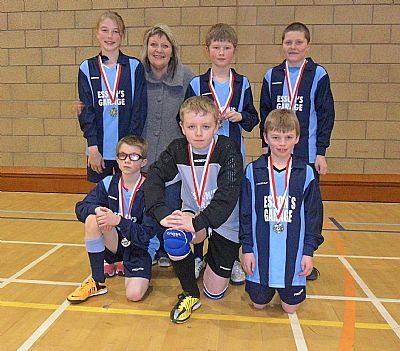 The primary indoor football season came to an end at Picky on Saturday (9th March) with an exciting night of cup action. The premier cup competition, the Lloyds TSB Trophy, played for by the eight top teams in the league saw a repeat of the previous two years finals with Papdale Flyers playing great rivals St Andrews Hurricanes. The time however the outcome was different with Hurricanes edging out Flyers by a single goal, thereby denying Flyers victory for the third year in a row. The Hurricanes goal hero was Connor Hancock who scored early in the match with a low hard shot after a fine run. This crowned en excellent finish to the season for Hurricanes who in the final week of the league also became the only team to beat champions, Stromness Predators. The Predators attempt to win a league and cup double failed at the first hurdle as they lost by a single goal to the Flyers in the quarter finals, and there was a further surprise as Glaitness United were also beaten by their younger Spurs schoolmates in the opening round. The remaining other 12 league and 6 non-league teams battled it out for the Reid Crescent Shield in what is usually a difficult to predict competition. This year went according to form with the 9th and 10th placed teams in the league battling through to the final. The match between Papdale Dales and Firth Scorpions proved to be a tight cagey affair with few chances being created. It was no surprise when the match ended goalless after extra time which meant a penalty shoot-out to decide the winner. Two saves by the Dales keeper helped the Papdale side secure a 3-1 victory much to the delight of the team, although it was a cruel way to lose for Firth. It was a clean sweep for the East in the challenge matches against the West. The B match was a one way affair with East winning comfortably by 6-0 to retain the Johnny Johnston Plate. The A game was much closer and although West took the lead it was East who ended up deservedly winning by 2-1 to regain the S R Paterson Shield. The presentation of trophies and medals took place at the conclusion of the evening’s play with OYDG Chairman Stephen Crawford thanking all the supporters for creating such a special atmosphere on the final night. He also thanked the schools, coaches and referees before introducing the various sponsors who presented the trophies and medals. OYDG would like to thank all the trophy and medal sponsors for the cup competitions: - S R Paterson Ltd; Lorraine Pilkington Tait of Cafelolz@21; Brian Budge; and Lloyds TSB. The evening also saw the Primary Indoor Player of the Year being announced and for the second year in succession the award went to the outstanding talent of young Sam Hunter from Stromness Predators. 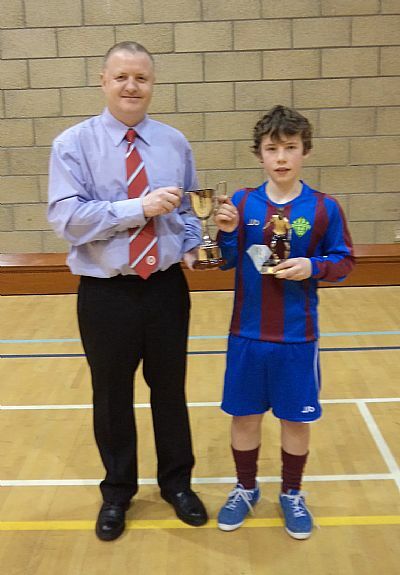 Sam was presented with his trophy by Gordon Wilson who kindly sponsors this award. West A and B – to be chosen from – S Carmichael (Firth), J Craigie (Stromness), A Hall (Evie), D Heddle (Stenness), R Hourston (Firth), S Hunter (Stromness), C Jessiman (Stromness), E Park (Stromness), C Scott (Evie), A Sinclair (Evie), L Smith (Orphir), C Spence (Dounby), G Spence (Orphir), J Watt (Firth). The draw has been made for the quarter finals of the Lloyds TSB Trophy this Saturday 9th March with the first match being a Glaitness derby between Spurs and United. Please click HERE for full details. The draw has been made for the Reid Crescent Shield to be played this Saturday 9th March with the first match involving Firth Spiders and St Andrews Twisters kicking off at 4pm. Please click HERE for the full details. The third and fourth qualifying groups for the Lloyds TSB Trophy were played at Picky on Saturday night (2nd March). There were no major surprises with the four seeded clubs - Glaitness United, Papdale Kings, Papdale Mighty Marvels and St Andrews Hurricanes all progressing to the quarter finals to be played this weekend. Of the smaller teams special mention must be given to St Andrews Dynamos who had their first victory of the season beating Glaitness Rovers 1-0, after playing 40 league matches without a win. Papdale Mighty Marvels 4 Stenness Falcons 0; Glaitness United 4 Firth Spiders 0; St Andrews Dynamos 1 Glaitness Rovers 0; Firth Spiders 0 Papdale Mighty Marvels 4; Glaitness Rovers 0 Glaitness United 3; Real Dounby 3 St Andrews Dynamos 0; Glaitness United 4 St Andrews Dynamos 0; Papdale Mighty Marvels 2 Glaitness Rovers 0; Stenness Falcons 0 Real Dounby 2; St Andrews Dynamos 0 Firth Spiders 1; Real Dounby 0 Glaitness United 4; Glaitness Rovers 0 Stenness Falcons 1; Firth Spiders 0 Glaitness Rovers 1; Real Dounby 0 Papdale Mighty Marvels 2; Glaitness United 4 Stenness Falcons 0; Papdale Mighty Marvels 0 Glaitness United 4; Firth Spiders 0 Real Dounby 0; Stenness Falcons 0 St Andrews Dynamos 0; Real Dounby 2 Glaitness Rovers 1; Stenness Falcons 0 Firth Spiders 2; St Andrews Dynamos 0 Papdale Mighty Marvels 3. The first two qualifying groups in the Lloyds TSB Trophy were played at Picky on Saturday night (23rd February). There were no major shocks with the four seeded teams all qualifying for the quarter finals of the tournament. In Group 1 both Papdale Flyers and Glaitness Spurs progressed without too much trouble with Orphir Torpedos coming third. Group 2 was a tighter affair and with Hope/Burray Hotspurs holding Evie to a goalless draw in their opening match it looked like there might have to be a play off between the two teams to decide who would finish second in the group. However non league Stromness Thistle pulled off the result of the night by holding Hope/Burray Hotspurs to a draw and thereby dashing any hopes Hotspurs had of qualifying for the latter rounds of the TSB Trophy. After the early scare Evie were able to progress finishing second behind group winners Stromness Predators. 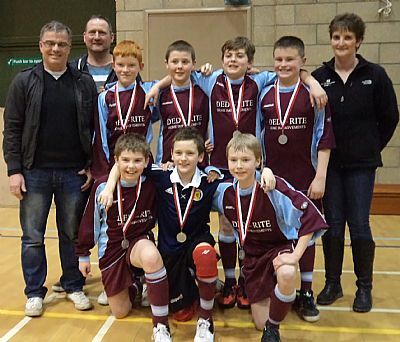 All the non league teams performed well each gaining at least one point on the night and Stromness Thistle are worthy of special mention with two wins and a draw on their debut in primary indoor competition. Stromness Predators 4 Stromness Strikers 0; Evie 0 Hope/Burray Hotspurs 0; Glaitness Pirates 0 Papdale Dales 3; Hope/Burray Hotspurs 0 Stromness Predators 3; Papdale Dales 0 Evie 2; Stromness Thistle 1 Glaitness Pirates 0; Evie 4 Glaitness Pirates 0; Stromness Predators 4 Papdale Dales 0; Stromness Strikers 1 Stromness Thistle 2; Glaitness Pirates 0 Hope/Burray Hotspurs 4; Stromness Thistle 0 Evie 4; Papdale Dales 4 Stromness Strikers 0; Hope/Burray Hotspurs 1 Papdale Dales 0; Stromness Thistle 0 Stromness Predators 4; Evie 4 Stromness Strikers 0; Stromness Predators 3 Evie 0; Hope/Burray Hotspurs 0 Stromness Thistle 0; Stromness Strikers 1 Glaitness Pirates 1; Stromness Thistle 0 Papdale Dales 4; Stromness Strikers 0 Hope/Burray Hotspurs 4; Glaitness Pirates 0 Stromness Predators 4. After the excitement of the League the next three weeks sees the cup competitions - the Lloyds TSB Trophy and the Reid Crescent Shield being played for. Details of the draw for the group stages of the Lloyds TSB Trophy to be played on Saturday 23rd February and Saturday 2nd March can be found HERE. The format for the competition sees teams split into groups of four with Groups 1 & 2 being played this Saturday and Groups 3 & 4 the following week. The top 2 teams in each of the groups go forward to the Lloyds TSB Trophy with the remaining teams (other than the 8 seeded teams) competing for the Reid Crescent Shield in the final week. This competition has an added attraction with a number of additional younger teams joining the recognised league teams. The new teams are Stromness Spartans, Stromness Thistle, Glaitness Pirates, Papdale Knights and Papdale Giants who will be joining the league teams. Games are 5 minutes duration or a winning margin of 4 goals. 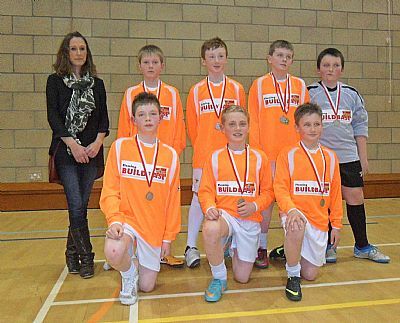 Stromness Predators have been crowned Primary Indoor League champions for 2012/13. Twelve months after winning the league for the first time ever they repeated the feat after a dramatic night of action at Picky on Saturday night. Going into the final week with a perfect record the question was whether Predators would become only the third team to complete a season by winning all their matches. The night started well with victories in their opening two matches but in their penultimate match they faced nearest challengers St Andrews Hurricanes. As expected this was a cracking match with Hurricanes playing their best football of the season with an excellent all round team performance. Employing perfect tactics Hurricanes took an early lead and then nullified the threat of the dangerous Predators forwards for the rest of the match scoring a decisive second goal to seal a deserved victory. This left Predators still needing a point in the final match of the league season to ensure that a play off with Hurricanes was not required to decide the destination of the title. Their opponents were Papdale Kings and although the Kings put up a strong performance Stromess pressure eventually paid off and they delivered a 2-0 victory. This was much to the relief of the large crowd of Stromness supporters who provided plenty of vocal encouragement throughout the match. 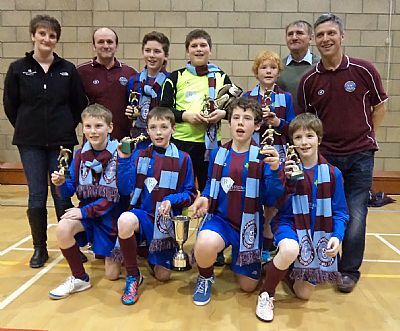 There followed much celebrations on the final whistle as players, coaches and parents celebrated an exciting triumph. Over the course of the season Predators played a fast flowing and exciting style of football and fully deserved their title victory, with great credit also due to Hurricanes for pushing them all the way. Glaitness United finished in third place with Papdale Flyers winning their all important match against Kings to overtake their schoolmates and finish fourth. The fight for the Shore Shield for the top small primary school team also went to the last night with honours going to Evie who edged out Firth Scorpions. A 1-0 victory against their main rivals helped Evie secure the victory. This was Evie’s first win in this competition for 7 years. The presentation of trophies was held at end of the night. Stephen Crawford, OYDG Chairman opened the presentation ceremony by thanking all those that had contributed to such a successful competition - Picky management and staff, fixtures organisers, referees, timekeepers, scorers, teams, coaches, parents and supporters. 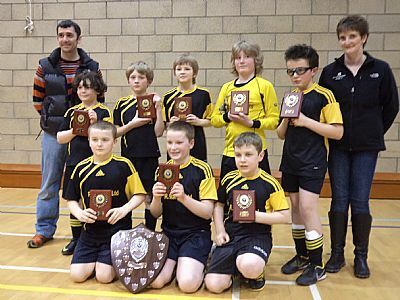 He then congratulated the winning teams, and in particular Stromness Predators. In retaining the league which in itself was a difficult task to achieve he said that Predators had played a special brand of football. Finally he handed over to Nicola Taylor, representing the sponsors S & JD Robertson Ltd who presented the trophies to:- Stromness Predators - Mount Cup and Winners Medals; St Andrews Hurricanes - Runners Up Medals; Evie - Shore Shield and St Andrews Dynamos - Wooden Spoon for effort and good sportsmanship. OYDG would like to thank the very generous sponsorship of the Primary Indoor Football League by S & JD Robertson, the company having sponsored the competition since it first started in 1987. Spurs 4 Spiders 0; Twisters 2 Devils 2; Vikings 0 M. Marvels 4; Torpedos 0 Scorpions 0; Twisters 1 Spurs 2; Vikings 0 Devils 1; Spiders 0 Torpedos 4; M. Marvels 1 Scorpions 2; Vikings 3 Strikers 1; Dynamos 0 Evie 4; Devils 1 Real 1; Spurs 4 M. Marvels 0; Dynamos 0 Twisters 5; Strikers 0 Hotspurs 1; Vikings 0 Hurricanes 5; Spiders 0 Flyers 5; Scorpions 0 Evie 1; United 4 Spurs 1; M. Marvels 3 Real 1; Kings 4 Twisters 0; Falcons 1 Dales 5; Devils 0 Hurricanes 5; Spiders 0 Predators 5; Rovers 0 Flyers 5; Scorpions 0 United 4; Hotspurs 0 Dales 1; Rovers 1 Strikers 0; Kings 1 Torpedos 1; Predators 5 Dynamos 0; Falcons 0 Flyers 5; Hurricanes 1 United 0; Real 4 Strikers 0; Dales 3 Torpedos 0; Rovers 0 Hotspurs 2; Evie 5 Falcons 0; Flyers 1 Kings 0; Hurricanes 2 Predators 0; United 2 Real 0; Dynamos 0 Dales 5; Evie 0 Rovers 2; Hotspurs 2 Falcons 0; Kings 0 Predators 2. Stromness Predators are within touching distance of retaining the Primary Indoor Football League after the penultimate week of fixtures played last Saturday. As they picked up maximum points their nearest challengers St Andrews Hurricanes dropped four vital points when they lost out to Papdale Flyers in the top match of the night. This was a match which lived up to all expectations with some great end to end action. Flyers eventually emerged victors by 2 goals to nil, a result which leaves Predators eight points clear at the top of the league. Predators would now have to lose two of their remaining four matches to give Hurricanes any chance of success and given that Predators have won every single match they have played so far this looks highly unlikely. Both the leading Papdale teams won all their matches to ensure Kings retain a narrow advantage over Flyers in the race to be the top Papdale team. 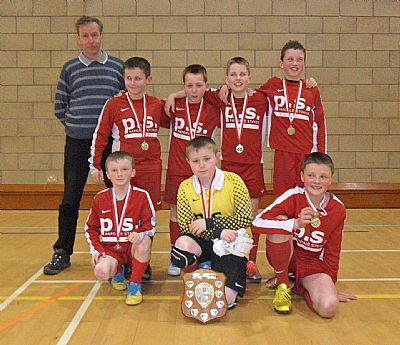 Evie have established themselves as favourites for the Shore Shield for the peedie schools. A maximum 12 points saw them move in front of rivals Firth Scorpions who dropped points in their matches with Papdale sides Kings and Dales. In the bottom half of the league it was also a good night for Real Dounby with two victories and a draw. Twisters 0 Hurricanes 5; Hotspurs 1 Real 1; Flyers 5 Torpedos 0; Predators 5 Twisters 0; Vikings 2 Real 4; Torpedos 0 Hotspurs 4; Flyers 2 Hurricanes 0; Scorpions 1 Twisters 0; Evie 1 Vikings 0; Hotspurs 0 Predators 4; Strikers 1 Hurricanes 6; Dynamos 0 M. Marvels 4; Predators 5 Torpedos 0; Falcons 0 Real 4; Kings 2 Scorpions 0; Flyers 5 Devils 0; Dales 0 Evie 2; Vikings 2 Spiders 0; Strikers 2 Dynamos 0; M. Marvels 0 Kings 2; Dales 5 Falcons 0; Devils 1 Dynamos 0; Evie 5 Spiders 0; Dales 0 Scorpions 0; Strikers 0 Kings 4; M. Marvels 3 Falcons 0; Spiders 0 Devils 4. With only two weeks of fixtures left the destination of both the league title and the Shore Shield is heading for a final night showdown between the main challengers. There was no change at the top of the league following last weekend’s matches with the top three Stromness Predators, St Andrews Hurricanes and Glaitness United winning all their matches. This leaves Predators four points ahead of Hurricanes, with United who have played three more games a further two points behind. Hurricanes will need to be on top form if they want to keep their title chances alive as they still have to play United and Papdale Flyers before they play their final match against Predators. In the top match of the night Hurricanes came from a goal behind to beat Papdale Kings 3-1. However Kings did have the consolation of moving ahead of their schoolmates Flyers into fourth place in the league. Only two points separate Firth Scorpions and Evie in the race for the Shore Shield, and with both teams playing each other on the final night another exciting climax is anticipated. On a difficult weekend for Evie they scraped a 2-1 victory against Stromness Devils, whilst Scorpions will be disappointed to have dropped points against Glaitness Rovers in goalless draw. It was a good night for Glaitness Spurs who also recorded three victories, and St Andrews Twisters who emerged unbeaten after their matches. Towards the bottom of the league there was an excellent 2-1 victory for Papdale Vikings against higher placed Glaitness Rovers. Falcons 0 Predators 5; United 5 Devils 0; Real 0 Kings 4; Predators 5 Evie 0; Devils 3 Falcons 0; Kings 1 Hurricanes 3; Strikers 1 Rovers 2; Dales 0 Predators 5; Evie 0 United 2; Dynamos 0 Falcons 3; Twisters 2 Real 0; Devils 1 Evie 2; Dales 0 Hurricanes 5; Kings 5 Spiders 0; Rovers 0 Scorpions 0; Torpedos 3 Strikers 1; Spurs 4 Real 1; United 4 Vikings 0; Twisters 2 Strikers 2; Spurs 4 Dynamos 0; Spiders 0 Dales 4; Hurricanes 4 Scorpions 0; Rovers 1 Vikings 2; Torpedos 0 Spurs 4; Twisters 6 Spiders 1; Dynamos 0 Scorpions 5; Vikings 1 Torpedos 3. Stromness Predators have extended their lead at the top to four points as they beat nearest challengers Glaitness United 3-0 in the top match of the night. Predators outperformed the Glaitness side and thoroughly deserved their victory. St Andrews Hurricanes look to be the only side capable of maintaining a strong challenge for the league title and a further three victories lifted them into second place after Saturday night’s fixtures. In the race for the Shore Shield Firth Scorpions hold a narrow one point lead over Evie. Scorpions looked to be heading for a perfect set of results but they were held 1-1 by Real Dounby in their final match. Evie also performed well and gained an unexpected point when they had the result of the night holding high flying Papdale Flyers to a 0-0 draw. There were a number of very competitive matches on the night and two of the best young teams St Andrews Twisters and Papdale Mighty Marvels could not be separated in a tight match which finished 1-1. Dynamos 0 Hotspurs 3; Flyers 0 Evie 0; Twisters 0 Torpedos 2; Dynamos 0 Hurricanes 5; Falcons 0 Evie 2; Hotspurs 2 Devils 0; Dynamos 0 Flyers 5; Twisters 1 Rovers 1; Torpedos 0 United 3; Hurricanes 4 M. Marvels 0; Evie 2 Strikers 1; United 4 Falcons 0; Spurs 0 Hurricanes 2; Devils 4 Rovers 0; Hotspurs 0 Scorpions 2; Flyers 5 Strikers 0; M. Marvels 1 Twisters 1; Rovers 1 Torpedos 1; Real 0 Predators 5; Spiders 0 Strikers 3; Falcons 0 Spurs 2; Predators 3 United 0; Real 4 Spiders 0; Scorpions 3 Devils 1; Predators 3 Spurs 0; Spiders 0 M. Marvels 5; Real 1 Scorpions 1. 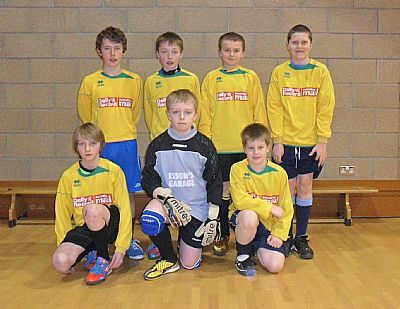 Stromness Predators have moved two points clear at the top of the Primary Indoor League after the weekend’s fixtures. On a night when Predators won all their matches Glaitness United who previously shared top spot dropped points when they were held to a 1-1 draw by Kirkwall rivals Papdale Flyers. Predators overcame Flyers 2-1 in one of the top matches of the night. Taking a 2-0 lead Predators looked in control but Flyers pulled one back to ensure an exciting end to the match. 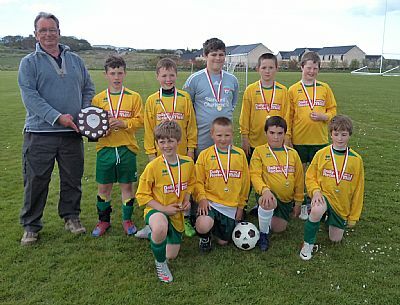 Papdale Mighty Marvels also provided tough competition for the Predators before two late goals won the match for the Stromness side. St Andrews Hurricanes are still very much in the title race after three convincing victories. In the race for the Shore Shield two victories for Firth Scorpions drew them level on points with Evie who had a night off. This included an excellent victory against Glaitness Spurs when a late goal secured them a 1-0 victory. Towards the bottom of the league Stromness Strikers enjoyed their best week of the season as they recorded two victories and Stenness Falcons recorded their best win as they beat Papdale Vikings 4-0. The game between Strikers and Vikings was one of the most exciting of the night as the Stromness team came from behind to secure the points in a seven goal thriller. Strikers 3 Spiders 1; Devils 3 M. Marvels 1; Predators 3 Scorpions 0; Dynamos 0 Vikings 3; Devils 5 Strikers 0; United 5 Spiders 0; M. Marvels 0 Predators 2; Scorpions 1 Falcons 0; Strikers 4 Vikings 3; Kings 2 M. Marvels 1; Scorpions 1 Spurs 0; Falcons 4 Vikings 0; United 5 Dynamos 0; Dales 1 Devils 0; Predators 2 Flyers 1; Hurricanes 5 Spiders 0; Spurs 2 Twisters 1; Rovers 2 Dynamos 0; Kings 5 Falcons 0; Twisters 0 Hotspurs 1; Flyers 1 United 1; Rovers 1 Dales 0; Hurricanes 4 Hotspurs 0; Spurs 0 Kings 0; Twisters 1 Dales 3; Hurricanes 4 Rovers 0; Hotspurs 0 Flyers 1. A large and expectant crowd gathered at Picky on Saturday evening as the remaining two teams with 100% records - Stromness Predators and St Andrews Hurricanes met for the first time this season. With plenty of vocal support the teams served up an excellent game of football played in a good sporting manner and with four cracking goals scored. The match burst into life midway through with three quickfire goals. Predators took the lead with Hurricanes equalising shortly afterwards but Predators soon regained the lead. As the match neared the final whistle and Hurricanes pushing forward in search of a second equaliser they were caught out by a quick Stromness breakaway which secured a deserved 3-1 victory for the Predators. There is still a long way to go in the title race however, with both teams due to meet each other again on the final week of fixtures four weeks time. Glaitness United secured three victories to share top spot with the Predators although United have played three more matches than the Stromness team. Both top Papdale teams also won all their matches with Kings maintaining a slender lead over Flyers as they compete to be the top Papdale team. In the race for the Shore Shield Hope/Burray Hotspurs have narrowed the gap between themselves and Evie after two victories over Papdale sides, Dales and Vikings. Evie had a difficult night of fixtures but will be delighted with a late equaliser against Glaitness Spurs which earned them two valuable points. Of the sides at the bottom of the league the most notable performance was by Papdale Vikings who put up a strong defensive display to hold high flying Glaitness Spurs to a goalless draw. M. Marvels 2 Evie 1; Torpedos 0 Rovers 5; Spurs 0 Vikings 0; Dales 0 Flyers 3; Evie 0 Hurricanes 4; Rovers 1 M. Marvels 5; Hotspurs 1 Vikings 0; Evie 1 Spurs 1; Torpedos 0 Flyers 5; Dales 0 Hotspurs 2; Kings 5 Dynamos 0; Vikings 0 Twisters 1; Predators 3 Hurricanes 1; United 2 M. Marvels 0; Dales 2 Real 0; Flyers 5 Rovers 0; Strikers 2 Spurs 4; Torpedos 1 Devils 2; Twisters 0 United 4; Hotspurs 1 Kings 3; Dynamos 0 Predators 5; Hurricanes 2 Real 0; Kings 2 Devils 0; United 5 Strikers 0; Real 3 Dynamos 1; Devils 0 Twisters 1; Strikers 0 Predators 5. The first week of fixtures in 2013 in the Primary Indoor Football league on Saturday saw St Andrews Hurricanes establish themselves as the main title challengers to Stromness Predators and set both teams up for an eagerly anticipated clash this weekend when they play each other for the first time this season. With Predators having a week off the scene was set for the most exciting set of fixtures so far with all the other top teams playing each other. It was Hurricanes who took full advantage as they recorded three narrow 1-0 victories on the night including excellent wins against Papdale Flyers and Glaitness United. Both matches were tense exciting affairs watched by a large crowd with the winning goal in the match against Flyers coming late on after a number of good saves by the Flyers keeper kept them in the match. Flyers themselves scored a late equaliser in the other top match of the night between themselves and United. Hurricanes, Predators and United now share top spot although the Glaitness side have played three more matches. Evie have a slight advantage over Firth Scorpions in the race for the Shore Shield for the smaller schools after a good set of results on Saturday night. They will be especially pleased with a fine defensive display which resulted in them holding high flying Papdale Kings to a goalless draw. 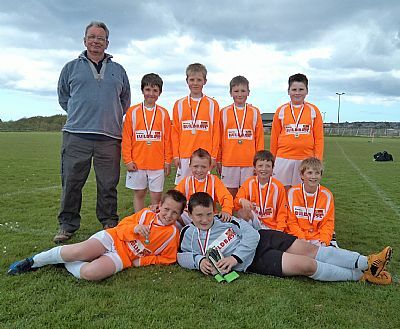 Glaitness Rovers had their best week of the season with three victories. At the bottom of the league it was hard luck on St Andrews Dynamos who looked to be heading for their first win of the season only to be denied by a last second equaliser for Firth Spiders. Hurricanes 1 Spurs 0; Spiders 1 Dynamos 1; Scorpions 2 Vikings 0; M. Marvels 0 Spurs 3; Evie 4 Dynamos 0; Hurricanes 1 Flyers 0; Scorpions 1 M. Marvels 2; Spiders 0 Rovers 2; Real 1 Vikings 0; Kings 0 Evie 0; Spurs 2 Hotspurs 1; Real 1 Rovers 2; Flyers 5 Dynamos 0; United 0 Hurricanes 1; Scorpions 0 Dales 0; Real 2 M. Marvels 3; Falcons 2 Spiders 0; Evie 3 Twisters 1; Vikings 0 Kings 4; Hotspurs 4 Torpedos 0; Rovers 1 Twisters 0; United 1 Flyers 1; Torpedos 0 Dales 1; Falcons 0 Twisters 5; United 3 Hotspurs 0; Kings 2 Dales 1; Torpedos 1 Falcons 0. With St Andrews Hurricanes having a week off Stromness Predators took full advantage to go clear at the top as the Primary Indoor league reached its halfway point on Saturday night. Three comfortable victories saw them go clear at the top for the first time this season. Glaitness United also maintained their title push as they also won all their matches although their victory over Papdale Dales was a narrow one. In the top match of the night in the first Papdale derby it was Kings who won the bragging rights when they deservedly beat their more senior schoolmates Flyers 2-0 in a keenly fought match. Kings went on to win their other two matches and are now only two points behind the Flyers. Glaitness Spurs had their best week of the season as they recorded three victories. Evie hold a narrow lead in the race for the Shore Shield for the smaller schools following two narrow 1-0 victories over close rivals Torpedos and Scorpions, with their goal against Scorpions coming in the final seconds. A perfect evening for Evie was spoilt when they lost to lower placed Glaitness Rovers. Scorpions, Hope/Burray Hotspurs and Torpedos remain in close contention just behind Evie. As is often the case some of the most exciting matches are between sides towards the bottom of the league and the loudest vocal encouragement on Saturday came in the match between Firth Spiders and Papdale Vikings. Both teams gave their all and it was fitting that the game ended 1-1 as neither deserved to lose out. M. Marvels 3 Torpedos 0; Hotspurs 5 Rovers 0; Kings 2 Flyers 0; Spiders 0 Scorpions 1; Torpedos 0 Predators 5; Flyers 5 Falcons 0; Kings 5 Rovers 0; Predators 5 Spiders 0; Flyers 2 M. Marvels 0; Kings 1 Hotspurs 0; Scorpions 1 Torpedos 0; Predators 5 Devils 0; Falcons 1 Hotspurs 4; Spiders 1 Vikings1; Rovers 3 Evie 2; Strikers 0 Real 0; M. Marvels 1 Dales 1; Devils 0 Spurs 5; Vikings 0 United 5; Evie 1 Scorpions 0; Falcons 1 Strikers 2; Real 0 Spurs 1; Devils 0 United 5; Dales 1 Vikings 0; Evie 1 Real 0; Spurs 5 Strikers 1; United 3 Dales 2. There are new joint leaders following Week 7 of the Primary Indoor league as unbeaten St Andrews Hurricanes and Stromness Predators caught up their games in hand over Glaitness United who had a week off. Both teams had comfortable victories over their opponents and with all the teams having now played 18 matches the top two hold a 6 point advantage over United. Papdale Flyers remain fourth after winning all their matches, and it was also a good night schoolmates Papdale Mighty Marvels who recorded three victories including an exciting 3-2 win against Hotspurs where they came from behind to score a narrow victory. This continued their impressive start to the season and they move up to sixth position above Glaitness Spurs and Papdale Dales. In the race for the Shore Shield for the smaller schools it was an excellent night for Evie who won all three of their matches including victories over two of their Shield challengers – a slender 1-0 victory over Hope/Burray Hotspurs in a tight end to end match and a 2-0 win over Torpedos. Both Evie and Torpedos are now level on points just two points ahead of Firth Scorpions who also have eyes on the Shield. In line with all youth football organisations in Scotland a minute’s silence was observed during Saturday’s play and during Friday night’s Winter League matches as a mark of respect for a volunteer linesman who died recently following being attacked by players at a youth football match in Holland. OYDG is grateful to all players, coaches and spectators for paying their respects to such a tragic death. Falcons 0 Scorpions 4; Real 0 Twisters 0; Flyers 5 Dales 0; Scorpions 3 Strikers 0; Falcons 0 Hurricanes 5; Dynamos 0 Devils 2; Scorpions 0 Flyers 5; Hurricanes 5 Strikers 0; Real 3 Falcons 1; Twisters 1 Kings 3; Dales 3 Dynamos 0; Flyers 5 Spiders 0; Twisters 0 Predators 5; Strikers 0 M. Marvels 4; Spiders 0 Hotspurs 5; Hurricanes 3 Devils 0; Torpedos 3 Dynamos 0; Vikings 0 Evie 4; Kings 5 Real 0; Predators 5 Dales 0; Devils 2 Vikings 0; Torpedos 5 Spiders 0; Hotspurs 0 Evie 1; M. Marvels 3 Vikings 0; Predators 5 Kings 1; Evie 2 Torpedos 0; Hotspurs 2 M. Marvels 3. Three victories for Glaitness United saw them retain their position at the top of the Primary Indoor Football League after the Week 6 fixtures on Saturday. They are closely followed by St Andrews Hurricanes and Stromness Predators who continued their perfect starts to the season and have overtaken Papdale Flyers who had a week off, to move into second and third places in the league. It was a good night for Papdale Kings who also scored three victories and the young St Andrews Twisters continue their impressive start to the league also winning all their games including an excellent 2-0 win over Evie. There is plenty of excitement in the Shore Shield for the peedie schools with only 4 points separating the four teams in the running - Orphir Torpedos, Firth Scorpions, Hope/Burray Hotspurs and Evie. Scorpions picked up two victories on Saturday but left it very late to score their winner in a narrow 2-1 victory over St Andrews Dynamos. At the bottom end of the league Real Dounby enjoy their best night of the season with two victories, including a 5-0 win over Dynamos. Rovers 1 Kings 4; Evie 0 Predators 4; Dales 5 Strikers 0; Spurs 2 Rovers 1; Predators 5 Falcons 0; Dales 1 Kings 2; Spurs 5 Torpedos 0; Rovers 5 Falcons 0; Kings 5 Strikers 0; Vikings 0 Predators 5; Dales 4 Spiders 0; Twisters 2 Evie 0; Falcons 0 Devils 5; Torpedos 0 Hurricanes 5; Spurs 0 United 3; Devils 4 Spiders 0; Vikings 0 Scorpions 4; Strikers 1 Torpedos 2; United 4 Evie 1; Dynamos 0 Real 5; Scorpions 0 Hurricanes 5; Spiders 0 Twisters 4; Real 0 United 5; Scorpions 2 Dynamos 1; Hurricanes 5 Vikings 0; Real 2 Devils 1; Twisters 3 Dynamos 0. 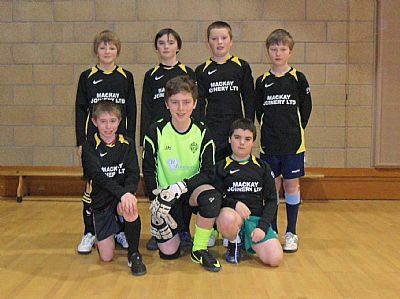 In the top match of Week 5 of the Primary Indoor League Stromness Predators came back from a goal down to give league leaders Glaitness United their first defeat as the game finished 2-1 to Predators. Predators also had to come back from a goal down in their match against Glaitness Spurs before also winning that match 2-1. Spurs have performed well against the top teams and deservedly find themselves in the top six. Whilst United still top the league their first defeat of the season means that only Predators and St Andrews Hurricanes have not lost a match this season. Flyers won all their matches and schoolmates Mighty Marvels also had their best week of the season also winning all their matches. It is a very tight in the race for the Shore Shield for the peedie schools with Evie, Hotspurs, Torpedos and Scorpions all in the running. In a key match Torpedos and Evie could not be separated as the match ended 0-0, Torpedos coming closest to scoring when hitting a post. At the bottom of the league it was well done to St Andrews Dynamos who gained their first points of the season after an impressive comeback from 2-0 down to Stenness Falcons to gain a draw. Torpedos 1 Twisters 0; Hurricanes 5 Falcons 0; Dynamos 0 Spurs 4; Real 1 Torpedos 2; Hurricanes 4 Twisters 0; Falcons 2 Dynamos 2; Torpedos 0 Evie 0; Real 0 Hurricanes 5; Dynamos 1 Strikers 3; Spurs 1 Predators 2; Real 1 Hotspurs 1; Twisters 0 Scorpions 0; Evie 3 Devils 1; Falcons 0 M. Marvels 5; Strikers 0 United 5; Spiders 0 Spurs 5; Evie 1 Flyers 2; Scorpions 3 Rovers 1; Predators 5 Hotspurs 0; Devils 0 Flyers 2; Rovers 0 United 5; M. Marvels 3 Strikers 0; Hotspurs 6 Spiders 1; Rovers 4 Devils 1; United 1 Predators 2; Flyers 3 Scorpions 0; M. Marvels 5 Spiders 0. 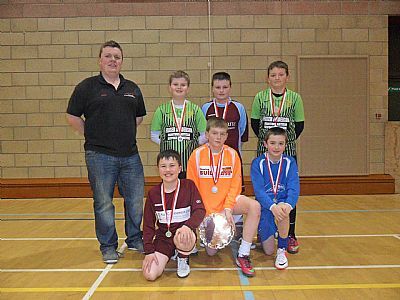 The top match in Week 4 of the Primary Indoor League was the clash between two of the favourites for the league title – Papdale Flyers and Stromness Predators. Flyers put up a strong performance with an excellent performance by their goalkeeper who pulled off a string of good saves to deny Predators. Stromness pressure eventually paid off and a late goal gave them a narrow but deserved victory in the first of the season’s key matches. Three victories for Glaitness United ensured that they maintained their position at the top of the league but they are being hotly pursued by Predators and St Andrews Hurricanes who have yet to drop a point. It was also a good night for Papdale Dales and Hope/Burray Hotspurs each with 2 victories and a draw, whilst in the bottom quarter of the league the only team to pick up points were Papdale Vikings. Spiders 0 United 5; Scorpions 1 Predators 6; Hotspurs 5 Strikers 0; Spiders 0 Hurricanes 5; United 2 Scorpions 0; Hotspurs 4 Twisters 1; Predators 5 M. Marvels 0; Hurricanes 5 Dynamos 0; Strikers 0 Flyers 5; Spiders 0 Kings 5; Twisters 1 M. Marvels 2; Scorpions 0 Hotspurs 0; Falcons 0 United 5; Flyers 0 Predators 1; M. Marvels 4 Devils 1; Dynamos 0 Rovers 2; Hurricanes 3 Kings 0; Flyers 5 Vikings 0; Strikers 0 Devils 5; Dales 1 Twisters 1; Vikings 0 Spurs 3; Falcons 0 Rovers 3; Devils 0 Dales 4; Kings 5 Spurs 1; Vikings 2 Dynamos 0; Dales 2 Rovers 1; Spurs 2 Falcons 0. There was late drama in the third week of the Primary Indoor League as in the final match of the night league leaders Papdale Flyers suffered their first defeat of the season when a fired up Glaitness Spurs deservedly beat the Papdale side by a single goal. This surprise result allowed another Glaitness team United who had won all their matches on the night to move into pole position at the top of the league. United who had dropped points the previous week against Papdale Kings, made sure there was no repeat as in the return fixture they defeated the Kings 3-1 in the top match of the night. Keeping up the pressure at the top of the league having played fewer games are St Andrew Hurricanes and Stromness Predators who maintained their perfect starts to the season. Both teams looked impressive as they recorded straightforward victories. It was also a good night for Stromness Devils who recorded three good victories against Scorpions, Hotspurs, and Torpedos. In the competition for the Shore Shield for the smaller primary schools the early pace setters are Evie who also had an unbeaten night including a 2-0 victory against last year’s Shield winners Hotspurs. Devils 1 Scorpions 0; Strikers 0 Evie 1; Scorpions 2 Spiders 0; Devils 1 Hotspurs 0; Strikers 0 Scorpions 4; Dynamos 0 Kings 5; Devils 2 Torpedos 1; Evie 2 Hotspurs 0; Dynamos 0 United 5; Torpedos 2 M. Marvels 0; Devils 1 Kings 4; Strikers 0 Twisters 1; Predators 5 Real 0; M. Marvels 5 Dynamos 0; Hotspurs 0 Hurricanes 3; Spurs 1 Evie 1; United 4 Torpedos 0; Strikers 0 Dales 3; Twisters 4 Vikings 0; United 3 Kings 1; Flyers 4 Real 0; Predators 5 Rovers 0; M. Marvels 0 Hurricanes 5; Spurs 0 Dales 0; Rovers 1 Real 1; Predators 5 Vikings 0; Twisters 0 Flyers 3; Hurricanes 4 Dales 0; Vikings 1 Rovers 1; Spurs 1 Flyers 0. There were a lot of tightly contested fixtures as the second week of fixtures was played at Picky on Saturday evening. Papdale Flyers are the early league leaders having won all their matches so far, but they were pushed all the way in their latest matches as they narrowly beat Real Dounby by a single late goal, and despite beating both St Andrews Twisters and Glaitness Spurs by 2-0 they were not convincing in either match. The only other team to gain maximum points on the night were St Andrews Hurricanes who opened their league campaign with three impressive victories. The top match of the night saw a spirited comeback from Glaitness United who were 2-0 down after an impressive start to the match by Papdale Kings but secured a 2-2 draw with a late equaliser. Of the younger teams it was a good night for Papdale Mighty Marvels with two wins and a draw and St Andrews Twisters also looked impressive in beating Stenness Falcons 5-0, and only losing a couple of goals against the league topping Flyers. A number of teams recorded their first league victories of the season – well done to Firth Scorpions, Firth Spiders, Glaitness Rovers and Papdale Vikings. Real 0 Dales 3; Vikings 1 Falcons 3; Flyers 2 Spurs 0; Rovers 4 Spiders 1; Vikings 0 Hotspurs 3; Real 0 Flyers 1; Twisters 5 Falcons 0; Dales 0 Spurs 2; M. Marvels 2 Hotspurs 1; Falcons 0 Kings 3; Spurs 0 Scorpions 1; Dynamos 2 Spiders 3; Rovers 0 Hurricanes 5; Scorpions 0 Real 0; Torpedos 0 Vikings 1; Flyers 2 Twisters 0; Spiders 0 Evie 2; Dales 0 United 2; M. Marvels 3 Rovers 0; Hotspurs 5 Dynamos 0; Scorpions 2 Kings 6; Hurricanes 3 Torpedos 0; United 3 Twisters 0; Evie 1 M. Marvels 1; Dynamos 0 Torpedos 2; Kings 2 United 2; Hurricanes 5 Evie 0. 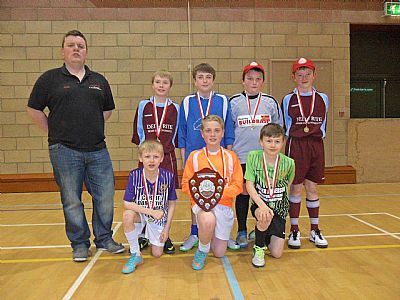 Saturday marked the start of this season’s Primary Indoor five a side football league sponsored by S & JD Robertson Group. The competition passed its 25th year last season and as usual there was a buzz of anticipation in the main games hall of the Pickaquoy Centre as teams had their first chance to get some points and also to assess the opponents they will face over the next 15 weeks of competition. Three of the four top teams from last year were in attendance, St Andrews Hurricanes having the first week off. At this early stage it looks like Stromness Predators, Papdale Flyers and Glaitness United will once again be forces to contend with this year. All three teams started with impressive 5-0 victories and continued with further good wins against their later opponents although Hope Burray Hotspurs showed good form and determination to give Flyers their toughest game of the night. Papdale Kings were the only other team to take full points from their three games with hard fought victories against Papdale Vikings, Orphir Torpedoes and Evie. All of the peedie school teams in attendance showed good form with Hotspurs picking up the points in one of the night’s most closely contested games against Spurs, and Torpedoes coming from behind to beat a young Stenness Falcons team in another exciting game. Evie picked up good points with a win against Real Dounby and only narrowly missed out by a single goal in their other two games. At this early stage of the season, it looks like this year’s competition will be just as enjoyable for all the teams and supporters as previous years. Vikings 0 Flyers 5; Dales 0 M. Marvels 0; United 5 Rovers 0; Kings 2 Vikings 0; M. Marvels 1 Flyers 5; Evie 0 Dales 1; Rovers 0 Spurs 5; M. Marvels 0 United 4; Vikings 0 Dales 3; Torpedos 0 Kings 3; Flyers 2 Hotspurs 0; Real 1 Evie 2; Spurs 1 Devils 0; Rovers 0 Predators 5; Hotspurs 0 United 4; Spiders 0 Falcons 1; Evie 0 Kings 1; Torpedos 2 Real 1; Strikers 2 Falcons 1; Hotspurs 3 Spurs 1; Predators 5 Strikers 0; Falcons 1 Torpedos 3; Spiders 0 Real 5; Devils 0 Predators 4.